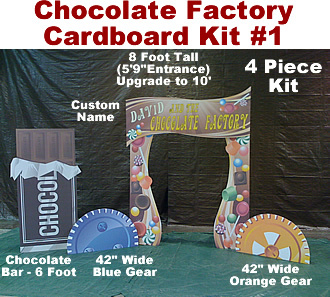 Chocolate Factory Cardboard Props Kit #1 - Dino Rentos Studios, INC.
Everything you need to get started with your custom Chocolate Factory. 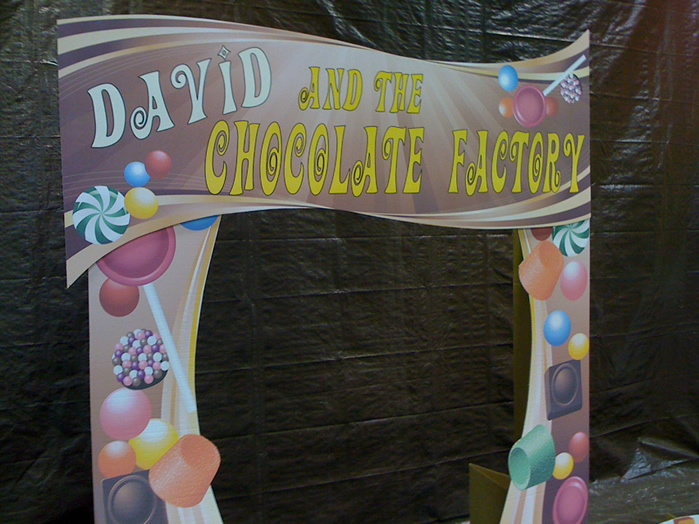 Add your special guests name to the entrance. 2 Half gears. One Blue, One Orange. Each 42" Wide approx 24" tall. Self Standing. For Indoor Use. Assembles in under 1 Hour. 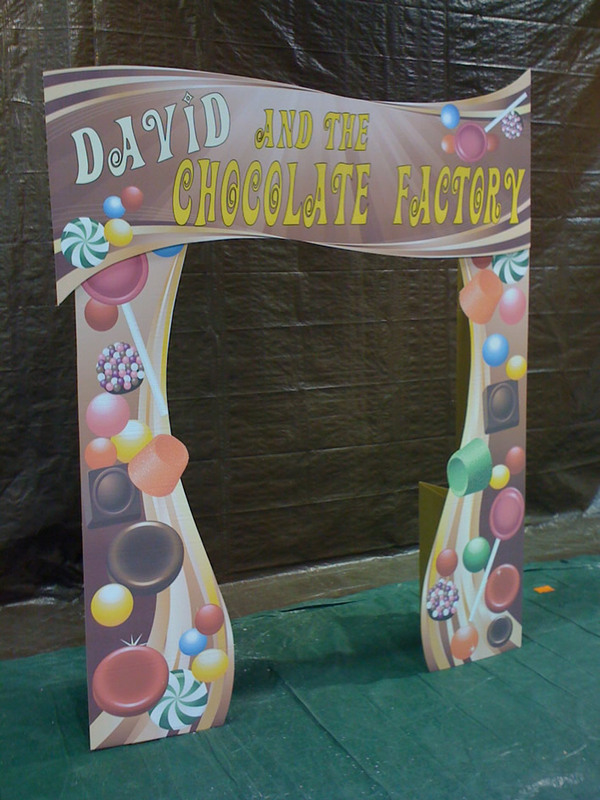 Upgrade to 10 foot Tall Entrance.